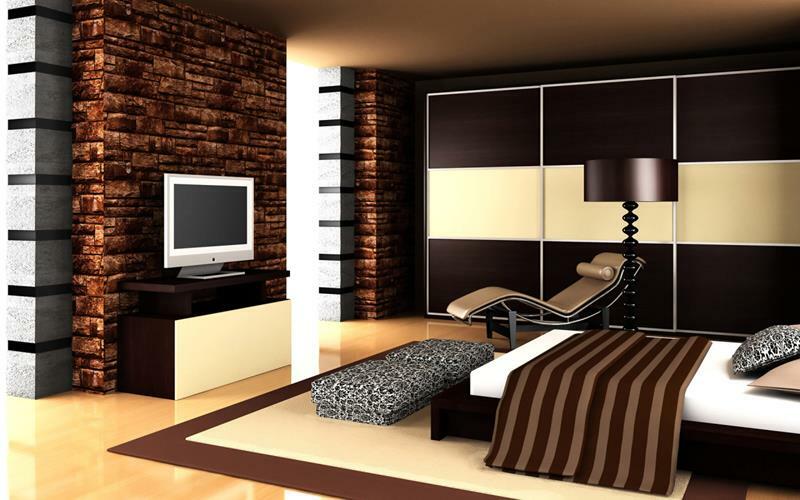 When it comes to bedrooms, people generally like to keep it “old school”. And that’s understandable. A bedroom is a place where you go to sleep, and in order to have an environment that’s conducive to sleep, you want to make it something that’s familiar. That’s all well and good, but we’re living in the 21st century now. The truth is that you can sleep anywhere. So, why wouldn’t you make a master bedroom look like something that’s of the time that you come from? That’s why homeowners are moving more and more to contemporary and modern master bedroom designs. Gone are the old traditions, and arrived are the sleek and minimalist styles. Rather than looking for the tall, plush and canopied bed, homeowners are looking for the Spartan bedroom with a low-profile king sized bed. There are, of course, other options than this, but we think you get the picture! If you’re a person that’s been looking to put there head down for the night in a modern bedroom, then check out the 21 designs that we’ve collected. Here, you’ll find plenty of inspiration, and perhaps you’ll get the kernel of an idea that will lead to your next, more modern master bedroom. The ornate dresser situated below the television set is the conversation piece in this master bedroom. With the low bed, and a color scheme that is decidedly monochromatic, this modern master bedroom design is quite masculine. 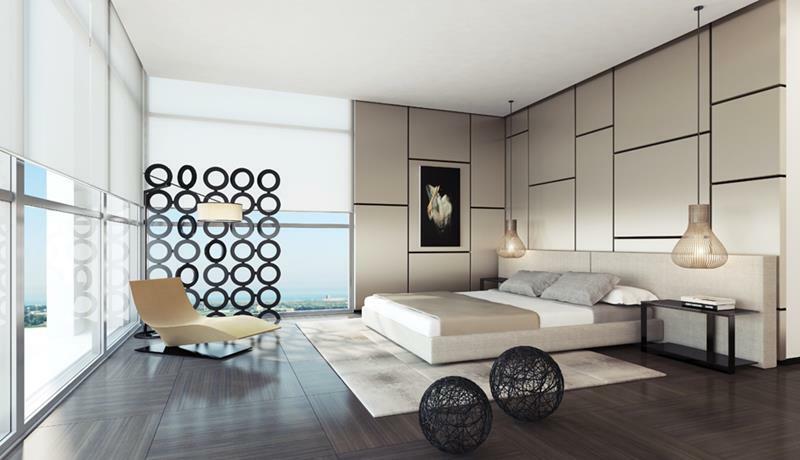 With subtle contours contrasting against the overall boxy design, this master bedroom has a very clean look. 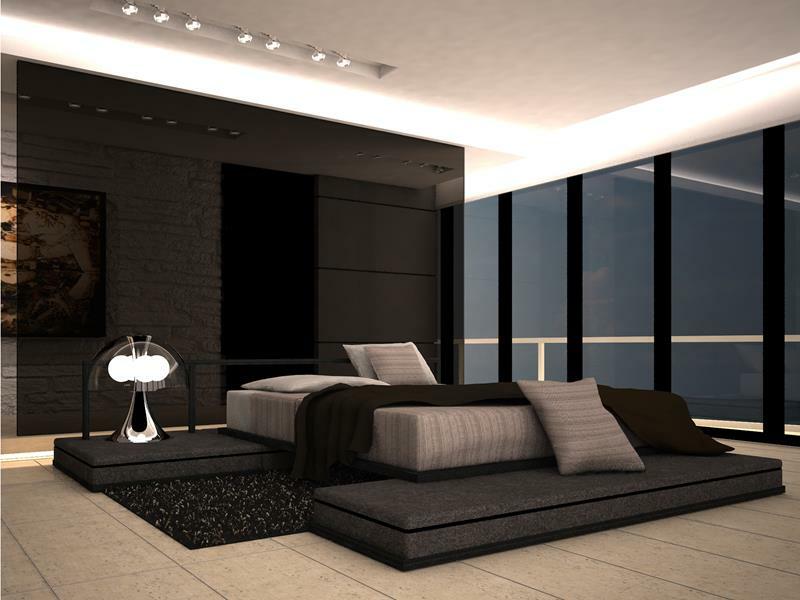 This contemporary master bedroom design provides that modern doesn’t have to mean no carpeting!